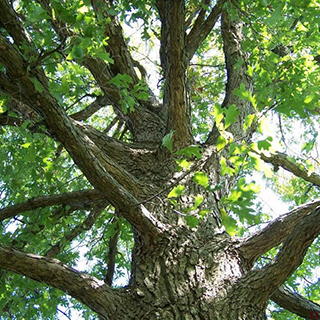 A powerful astringent and antiseptic for internal cleansing, White Oak bark is good for the thyroid, liver, spleen, gums, veins, and capillaries. Because of its potent cleansing nature, White Oak bark is often found in remedies for infections, particularly in the reproductive tract, including yeast infections and sexually transmitted diseases, such as herpes. It's reputed to prevent hair loss. Small amounts in blends is the recommended dose . Oak bark can be brewed into a strong, astringent decoction that can be taken as a tea, or used in baths, douches and skin washes. Use it in a cold compress for burns and cuts, and incorporate oak bark extracts and tinctures into ointments.